MOUNTING : Mounted between 5mm aluminium/forex sandwich and 5 mm acrylic. 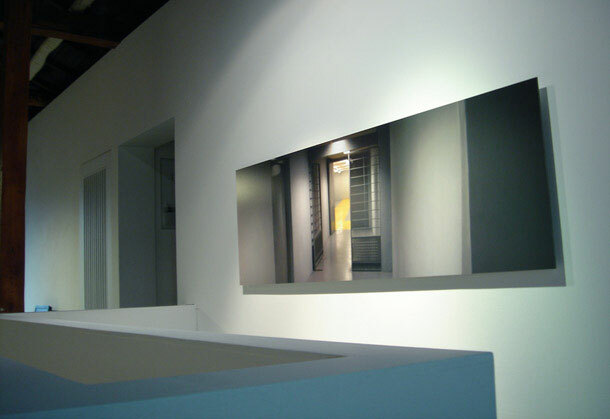 Hallways are based on registrations of real corridors from underground metro stations in Copenhagen, Denmark. Through a digital editing the photographic registrations occur as virtual constructions. Every thing that refer to the practical construction of the architecture as well as the activity of the human being are terminated in the photographs. By removing door handles, fittings, nuts, signs, door closer, fire alarms etc. the relation between reality and virtuality is deconstructed. 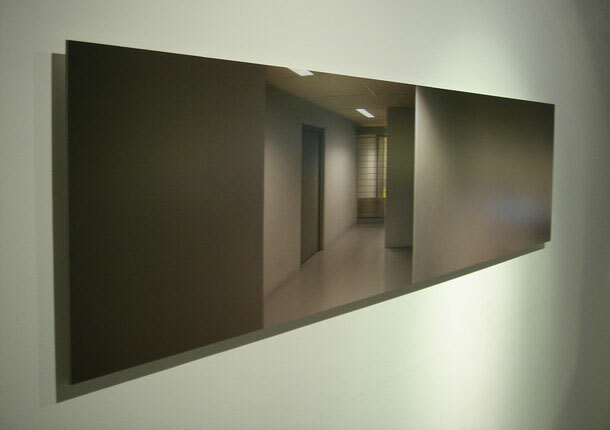 The photographs of the corridors occur because of their digital editing as highly clean and clinical, recognizable and yet estranged for the spectator – as hybrid form of a real and virtual space, a realvirtuality.